As Canadians and people around the world face increasing longevity risks, including possibly outliving their retirement savings, the usefulness of deferred income annuities (DIAs) as a possible defensive tool should be getting clearer. However, one piece of research from the US suggests that not many people approaching retirement appreciate those annuitized products. “The Employee Benefit Research Institute looked into DIAs and their adoption by those facing retirement,” wrote Susan Rupe, managing editor for InsuranceNewsNet. The researchers found only a small percentage of defined-contribution and individual retirement account balances are annuitized. On top of that, a significant percentage of defined-benefit funds are taken as lump-sum distributions when the option is available. According to Jack VanDerhei, EBRI director of research and author of the report Deferred Income Annuity Purchases: Optimal Levels for Retirement Income Adequacy, it boils down to control: consumers are reluctant to relinquish control over a large chunk of their retirement account funds at retirement age. But that reluctance can be overcome through significantly lower costs: the fact that DIA payments are delayed until the annuity owner is in their 80s means that a DIA could be offered for a small fraction of the cost of a single-premium immediate annuity that provides a similar monthly benefit, he said. Another possible way to make DIAs more attractive to consumers is to attach a death benefit to it. According to Vanderhei, consumers wanted assurance that should the account holder die between the ages of 65 and 84, there would be a return of premium. The study also looked at the probability of a “successful” retirement in relation to the percentage of a 401(k) balance that is used to purchase a DIA. 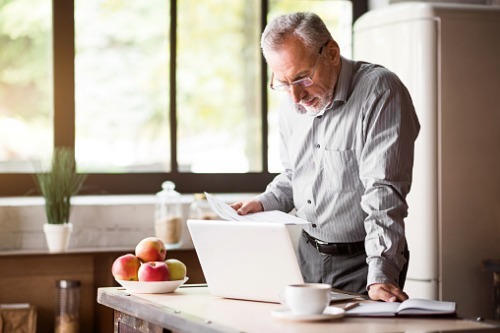 Retirement “success” was determined using the EBRI Retirement Readiness Rating, which determines the risk of having insufficient funds to cover basic expenses and uninsured healthcare costs. Results were broken down for all households with a 401(k) balance and analysed based on a simulated age of death. Based on the results, getting a DIA without a death benefit at age 65, with 20% of a 401(k) account balance and putting off payments for 20 years, creates the best hedge against outliving income in retirement. Notably, investors projected to live beyond age 89 were found to be significantly more retirement-ready when they put a larger percentage of their 401(k) balance into a DIA. Vanderhei stressed, however, that investing more of a nest egg in a DIA doesn’t mean better results. “There is an overall decrease in retirement readiness for DIA purchases starting at 25 percent — due in part to the interaction with long-term care costs,” he said.